Rocket League now supports cross-platform play on the PS4, Battlefield V update coming later this week, and Farm Together coming to the Xbox One. We’re not a half a month into 2019 but there is already something big happening with PlayStation. 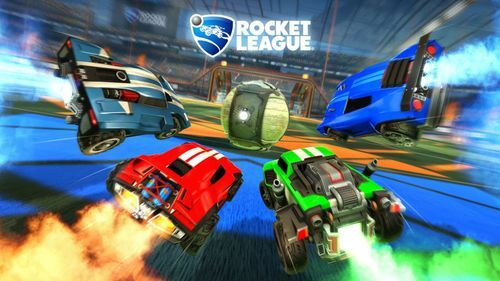 Psyonix and Sony announced today that Rocket League will support cross-play across ALL platforms. This will be the second title to enter PlayStation’s “cross-play beta program” and allow players from the PC, Xbox One, and Switch to finally match against those on the PS4. Playing against players on other platforms is great but what about cross-platform parties? That feature is coming in the first big update for the year with more information coming about that very soon. As a tip, be sure to check under Options at the Main Menu if you want to play across all-platforms though it should be on by default. Rocket League may not be the top game in the world but it still has quite a bit of traffic and opening up to another player base will only help. Starting first with Fortnite and now Rocket League, Sony is starting to open up a bit about cross-platform play. That’s not to say every big game is going to go this route but the potential for more games to join is growing. Things are going to get a little hectic out there with the Chapter 2: Lightning Strikes update coming to Battlefield V later this week on January 17th. The big addition here is Squad Conquest, a condensed version of Conquest with two teams of eight in two groups of four squaring off as opposed to the normal sixty four. This match type will be on smaller versions of the Arras, Rotterdam, and Hamada maps. Squad Conquest will only be available from January 17th through the 31st. With the new update comes fixes and changes as well which can be ready by clicking here. After leaving Steam Early Access not too long ago, Farm Together is looking to come to the Xbox One. Grow crops, tend to your animals, and decorate the land either solo or with friends. Look for Farm Together this Friday on the Xbox One.